Clean Control Corporation is a small business that uses environmentally preferred chemistry to formulate household and industrial cleaning solutions, developing a variety of innovative products since becoming a partner in 2004. Clean Control Corporation also exercises sustainability in our operations through water reuse, use of photovoltaic cells for energy generation, and motion-sensitive lighting. In an effort to obtain the most up-to-date information on the safety of our cleaning formulation components Clean Control began a relationship with the EPA’s Design for the Environment program in June 2004. The company formalized our commitment to safer chemistry and the program by signing a Memorandum of Understanding with DfE in August of 2005 covering formulations for bathroom cleaners, glass and surface cleaners, degreasers, and carpet cleaners. 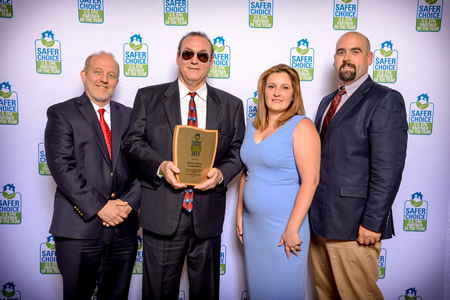 On May 15, 2017, Safer Choice commended Clean Control Corporation for its steadfast support of the program and its prominent use of the Safer Choice label on its products. Clean control Corporation added four new Safer Choice-certified products in 2016. Clean Control Corporation is pleased to join our partners in support of the U.S. EPA Safer Choice label program and the advancement of its goals of chemical safety. 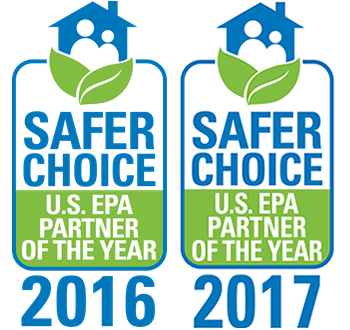 Learn more about the 2017 Safer Choice Partner of the Year award winners at https://www.epa.gov/saferchoice/safer-choice-partner-year-awards. 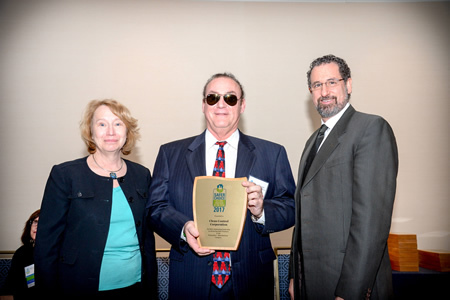 April 28, 2016 Clean Control Corporation recognized by the U.S. EPA Safer Choice label program as an outstanding Safer Choice Formulator-Manufacturer for advancing the goal of chemical safety through exemplary participation in or promotion of Safer Choice, and continually driving innovation to make chemical products safer. The U.S. EPA Safer Choice label helps consumers easily find products that are safer for people and the environment. Clean Control Corporation receives 2016 Partner of the Year Award. Pictured Left to Right: Jim Jones, Assistant Administrator (OCSPP); Barbara Cunningham, Deputy Director for Management and Pollution Prevention (OPPT, OCSPP); Wendy Cleland-Hamnett, Deputy Assistant Administrator (OPPT, OCSPP); Cory Hammock, Vice President of Research & Development, Clean Control Corporation; David Sexton, Technical Director R&D, Clean Control Corporation; Stephen Davison, President/CEO, Clean Control Corporation; David Widawsky, Director, Chemistry, Economics and Sustainable Strategies Division (OPPT, OCSPP), Brianne DiLorenzo, Business Analyst, Clean Control Corporation, Louise P. Wise, Deputy Assistant Administrator, (OCSPP). 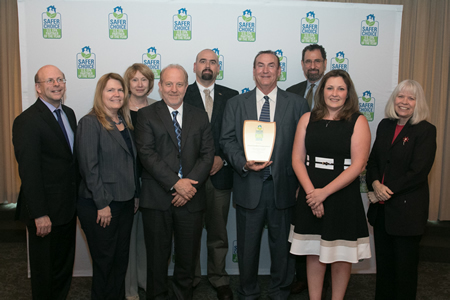 May 5, 2017 Clean Control Corporation recognized by the U.S. Environmental Protection Agency (EPA) along with 32 other award winners across 17 states and the District of Columbia for outstanding achievement in 2016 for the design, manufacture, and promotion of cleaning and other products that carry the Safer Choice label for use in households and facilities nationwide. Clean Control Corporation receives 2017 Partner of the Year Award. Pictured Left to Right: Wendy Cleland-Hamnett, Acting Assistant Administrator of EPA's Office of Chemical Safety and Pollution Prevention (OCSPP); Stephen Davison, President/CEO, Clean Control Corporation; David Widawsky, Director, Chemistry, Economics and Sustainable Strategies Division (OPPT, OCSPP). Pictured Left to Right: Cory Hammock, Vice President of Research & Development, Clean Control Corporation; Stephen Davison, President/CEO, Clean Control Corporation, Brianne DiLorenzo, Business Analyst, Clean Control Corporation; David Sexton, Technical Director R&D, Clean Control Corporation. 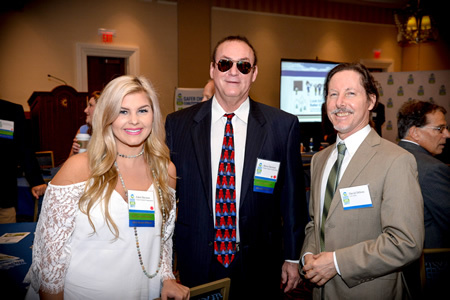 Pictured Left to Right: Stephen Davison, President/CEO, Clean Control Corporation; Eden Davison; David DiFiore, Safer Choice Program, U.S. EPA.